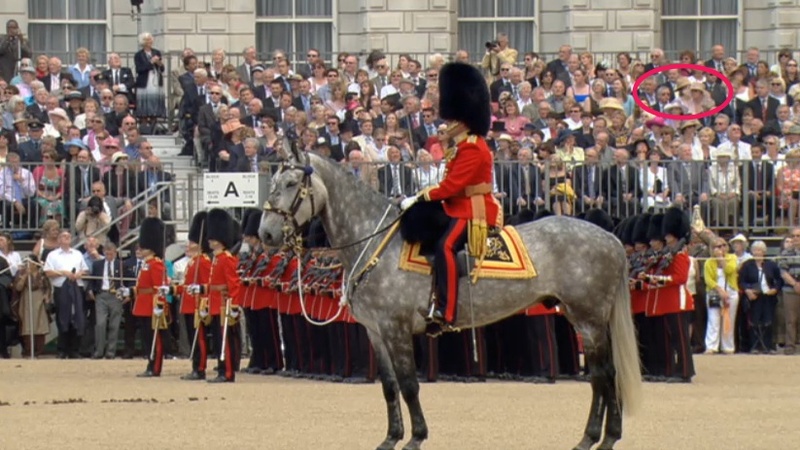 Guess who got to go see the Trooping of the Colour: The Queen's Birthday Parade today. I'll give you a hint, they're circled in the picture above (click it for a better look) and managed to get a good 20 seconds worth of TV time too. It's my mum-and-dad in-law, Ian and Judith :-) . If you're in the UK, you can spot them at 1:38 in the iPlayer footage. There may be other occasions, but this is the one we spotted.